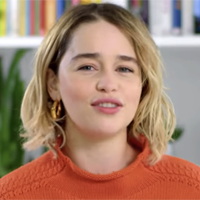 Showing 61 - 75 of 414 articles tagged "Game of Thrones"
Kit Harington's hosting stint joined Sandra Oh's episode from the previous week in focusing on the surreal. Could Game of Thrones become the next Star Wars-like franchise? Is Game of Thrones the last communal TV show viewing experience? "She went through the mill," says Glen, who has worked with Clarke since Season 1. What does George R.R. 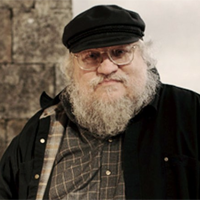 Martin's original 1993 TV pitch reveal about the end of Game of Thrones? The memo Martin sent to his then-agent Ralph Vicinanza "still carries considerable weight," says Zach Kram. 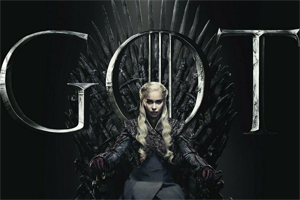 Security has had trouble guarding the 35-foot tall, 20,000-pound Iron Throne set up earlier this week in Rockefeller Center. "Is this even for the show?" asks the Jon Snow actor. "I've got to be honest, I did .